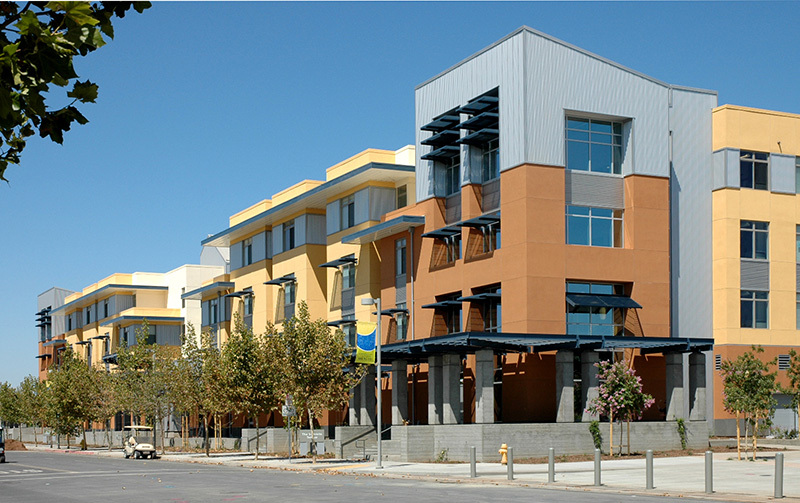 The Summits is a student housing complex at UC Merced which is located on a prominent site near the west entrance of the campus, providing walkable access to the heart of the campus. 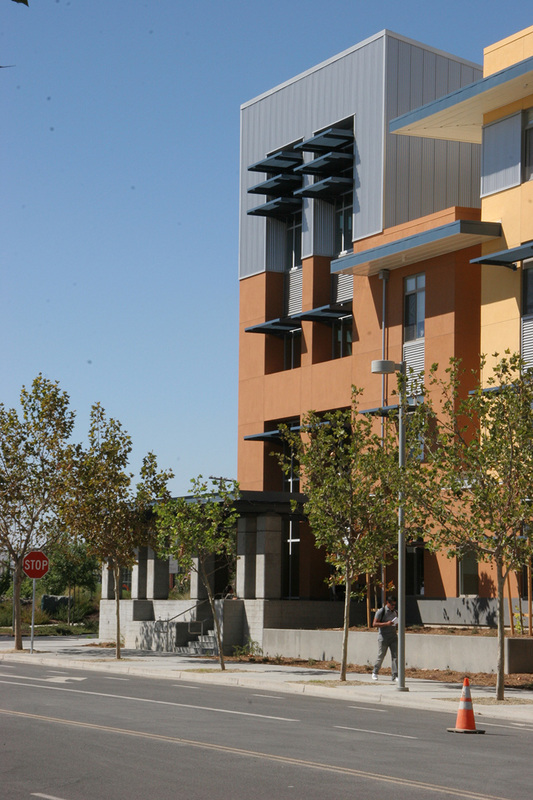 The complex consists of two four-story buildings that encompass a total of 74,000 square feet of living space for 300 students, common areas, and administrative offices. 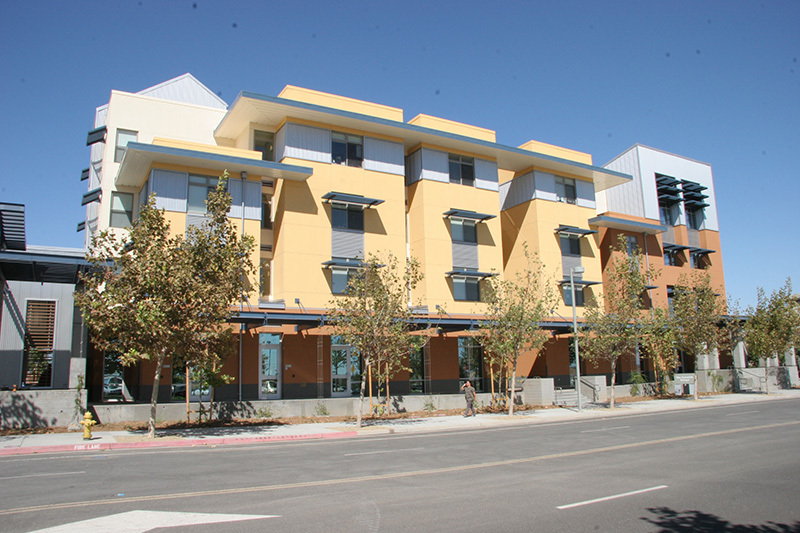 Each building consists of standard multi-family construction using manufactured wood roof trusses, plywood shearwalls, wood floor joists, and concrete slab-on-grade with spread footing foundations. 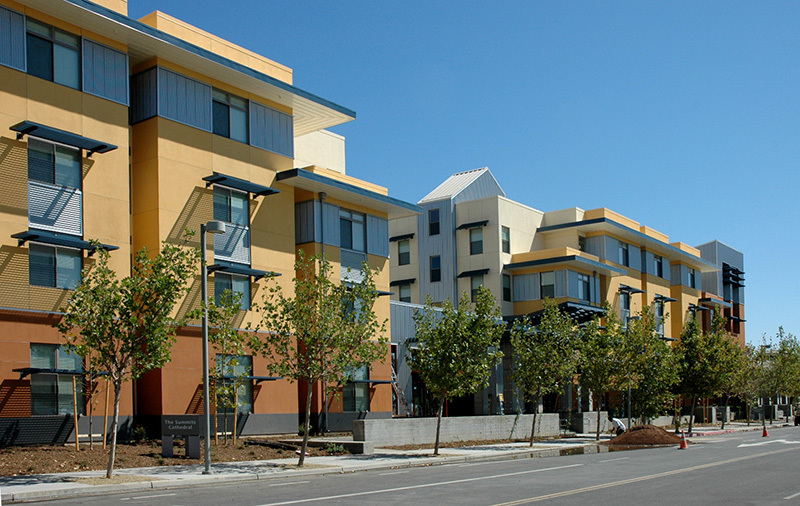 Due to the natural slope of the construction site, retaining walls are integrated into the foundation system. 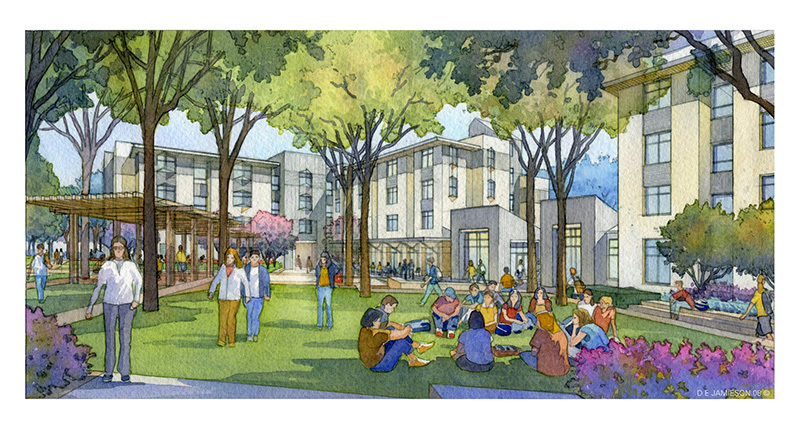 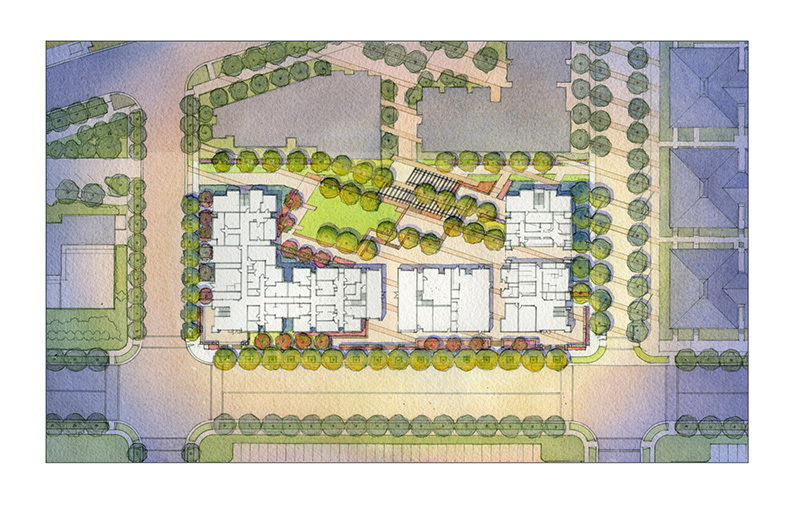 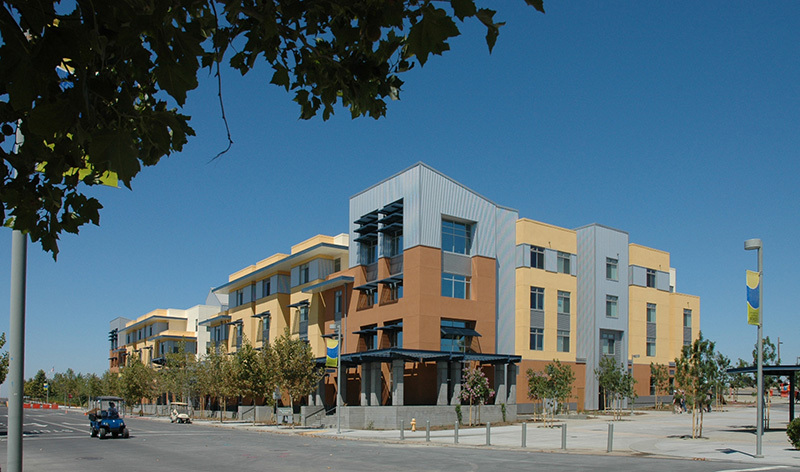 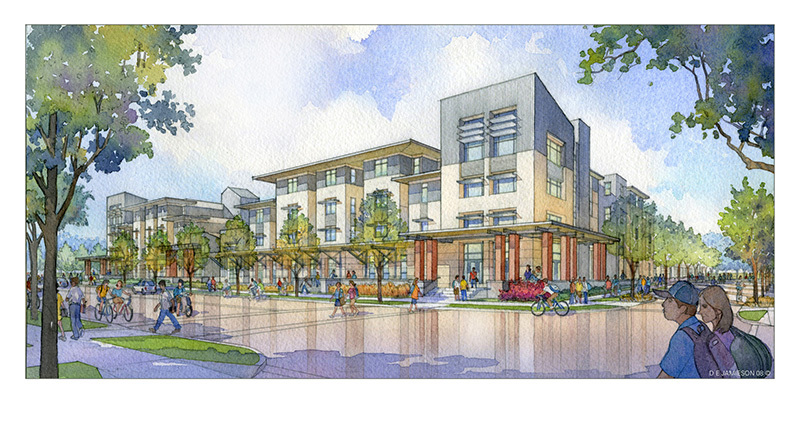 In keeping with UC Merced’s goal to be the greenest college campus in the US, this housing development was designed in conformance with the Leadership in Energy and Environmental Design (LEED) Green Building Rating System, and is expected to achieve Gold certification.